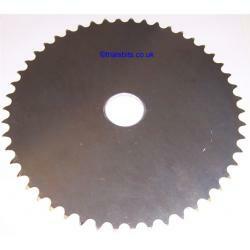 A blank Dural 520 sprocket ready to be machined to your requirements. This comes with a 40mm centre hole. Available with 42, 44, 46, 48, 50, 52 and 54 teeth, please choose from the dropdown. Larger sizes have a supplement.